The Marquette County Solid Waste Management Authority has received a Scrap Tire Cleanup Grant from the MDEQ. All Marquette County residents are welcome to bring their scrap tires to these collections. RESIDENTS may bring in up to 10 tires at a time. Car and truck tires that are 22.5 inches in diameter or less will be accepted at these collections. Tires on rims will be accepted. Larger tires, tractor tires and tires on split rims will NOT be accepted at these sites. Tires from businesses will NOT be accepted. Please see below for more information on disposing of these types of tires. For any questions call us at (906) 249-4125. Residents and businesses are both welcome to bring their scrap tires to the Marquette County Solid Waste Management Authority. Haulers with scrap tires MUST have a landfill permit. Please see fee schedule for prices. Individual residents may bring as many personal tires at a time as they would like. Businesses may only bring in 10 scrap tires at a time. 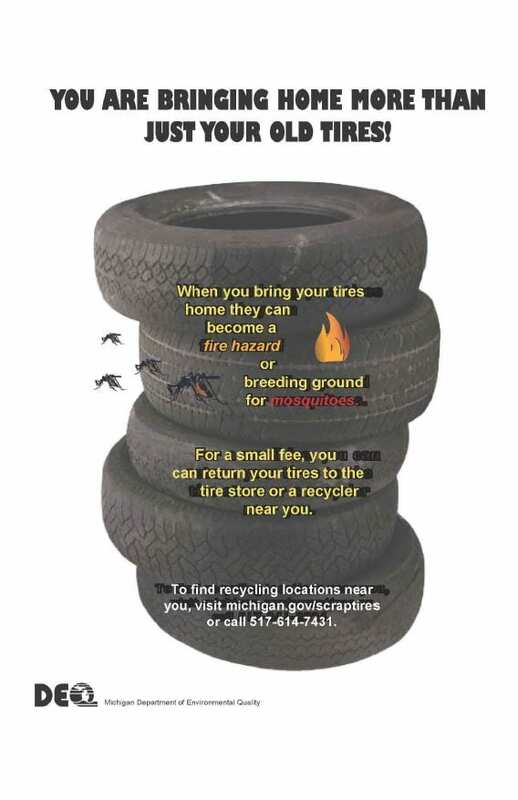 If you would like to bring more than 10 scrap tires you can contact the Marquette DEQ at (906) 228-4853 to obtain a Scrap Tire Hauler Registration at no charge. Businesses must also have a completed scrap tire manifest when hauling more than 10 tires. Scrap tires do not need to be weighed. If you have scrap tires, you do not need to go on the scale. Just park by the office and come in. Tires larger than 22.5, such as agricultural and loader tires, must be cut into 4 pieces and disposed of in the landfill. They will be charged the regular tipping fee. They WILL NOT be accepted otherwise. If you are unable to cut the tires you may contact Truck Away at 906-360-3038 or 1-800-375-3962 for a quote to cut the tires. 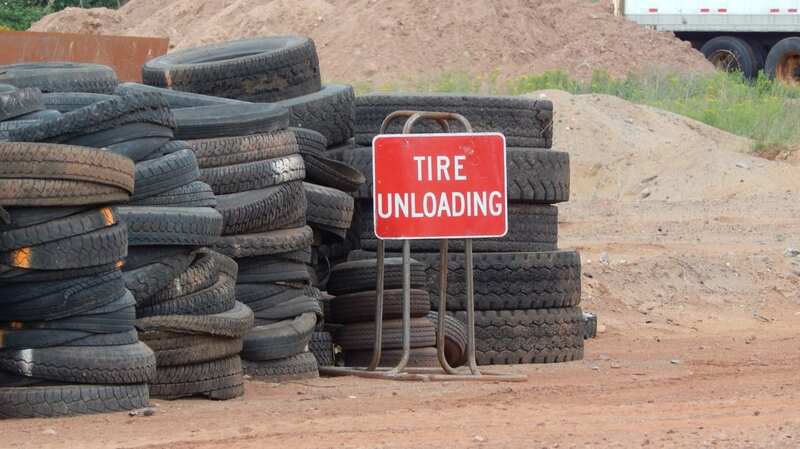 If you have both in your load, weigh-in and out for the garbage BEFORE you deposit your tires in the scrap tire pile. Otherwise, you will be charged for the weight of your tires in addition to the flat rate.